Party bands, wedding bands and function bands. 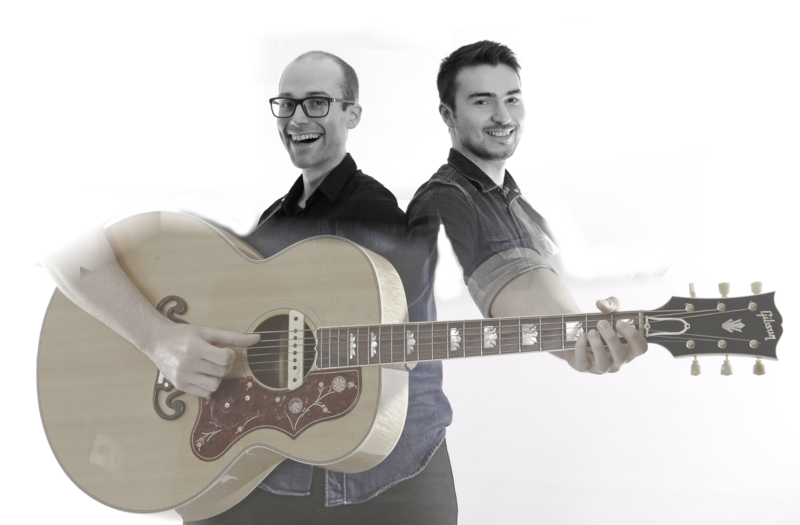 A multi-instrumental, acoustic-based duo, Acoustic Atlas features lead vocals from both Ryan and Bill. This talented pair of musicians switch effortlessly between acoustic guitar, keyboard, and electric guitar. Their creative arrangements of classic songs incorporate loop pedals, vocal harmonies and multi-layered keyboard parts, achieving a depth of sound far beyond expectations of a duo. With a repertoire that stretches from intimate 50s Billboard classics right up to modern stadium rock anthems, Acoustic Atlas will audaciously take on any song with a catchy melody, and adapt it to their abilities. Performing together for over eight years, Acoustic Atlas know how to put on a show that fits the occasion. Whether it’s a cozy birthday celebration or a throw-the-front-door-open house party, they can pick the right songs from their repertoire to keep the atmosphere up and be sure that everyone has a great time. Scalable Music Services, Proudly powered by WordPress.